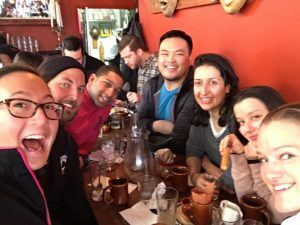 Whether you found us in Prospect Park or at Berg’n or on Eastern Parkway this past weekend, we are pumped by your enthusiasm to join our Royal Family! If you were unable to make it this weekend, please do not hesitate to JOIN US for any of our regularly scheduled runs and events. Please refer to our homepage or sign up for your weekly announcements by email. 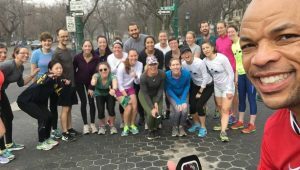 We are looking forward to having a great group of #RunningRoyalty and #CHRCNegativeSplits in the beautiful cloisters of Upper Manhattan at this year’s first Club Points Race, the NYRR Washington Heights Salsa, Blues and Shamrock 5K. Headed by our lovable Captain Potassium, there is sure to be amazing performances, great cheering and team spirit from all our runners. Don’t forget there’s a delicious brunch to be had afterward! Didn’t have a chance to make it to the New Member Orientation or BK half kick off? Come and hang out with all your running buddies for a couple drinks and meet some new royalty! If you are running the Washington Heights 5K the morning before (March 5th) come and celebrate your victory! 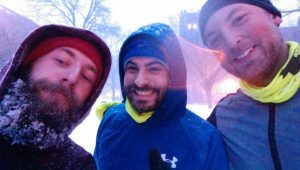 Starting in the winter of 2014, there has been an informal winter streak among some of the most avid CHRC runners. 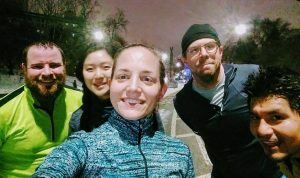 This winter, a handful of stalwart members set out to streak (run at least 1mile every day) for the longest CHRC challenge yet –the whole Winter Season. That is, from the Winter Solstice on December 21, 2016 to the Spring Equinox on March 20, 2017.
Who has officially become a streaker addict and will continue on? Have they found new insights through this arduous goal? Have you met one of these mysterious running breed among us? Join us on Strava to see their progress, talk to them on our next run to learn their secrets. Let’s cheer them on through the last leg of their streak! 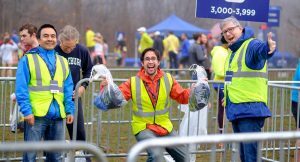 Did you enter the lottery for the 2017 NYC Marathon in November? Watch your credit card balances! 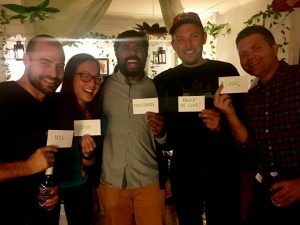 Thursday is the drawing date for the biggest marathon of the year, and a chance to run in an event that New Yorkers will say over and over, is the best day of the year.